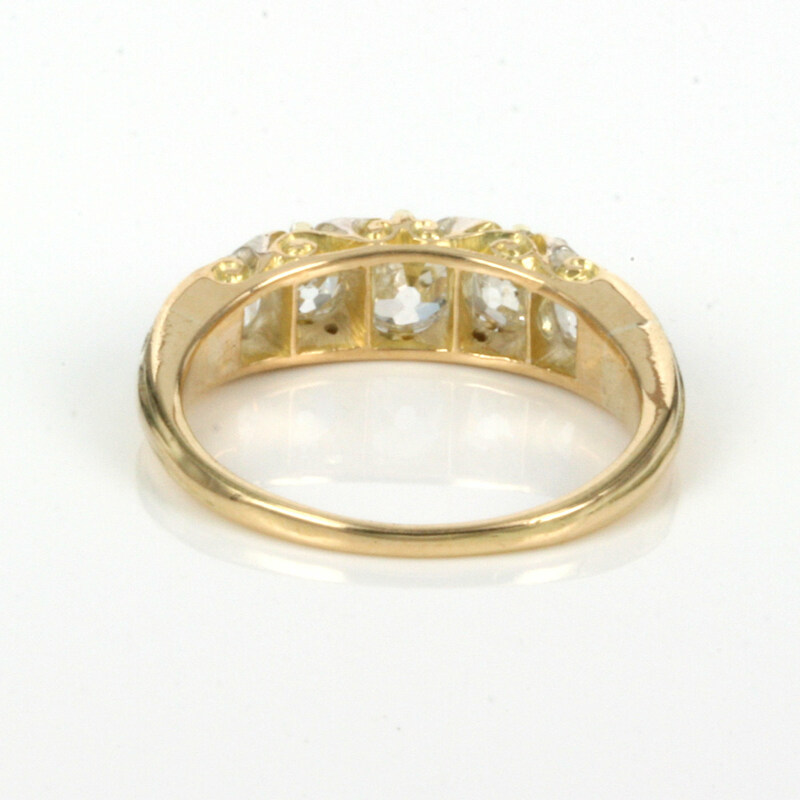 Product code: ES3532 Categories: Sold Items, Sold Rings. 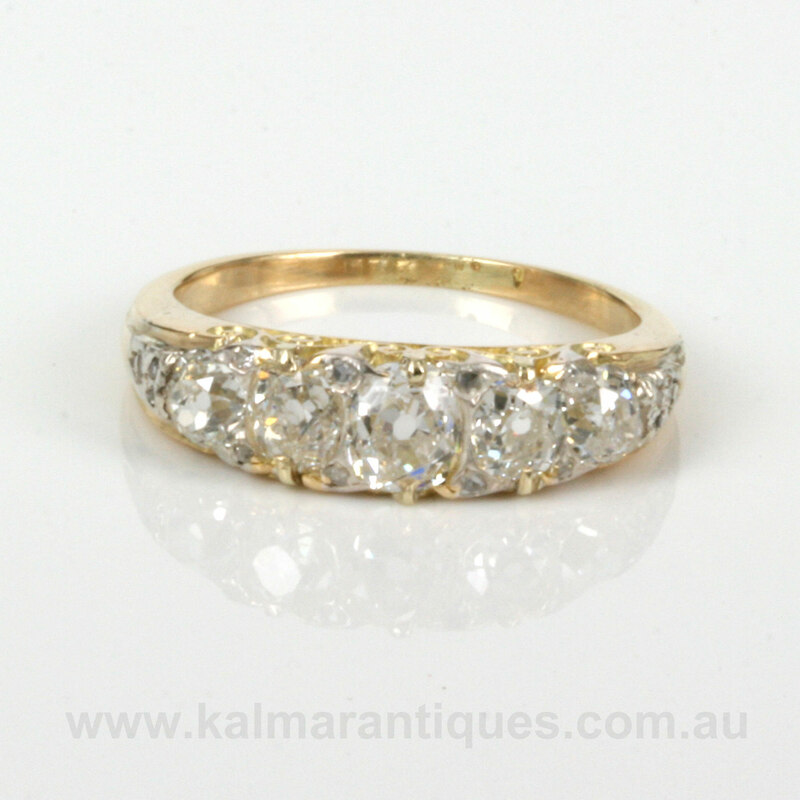 Here is a stunning antique diamond engagement ring that looks spectacular on the finger and will always be loved and admired. 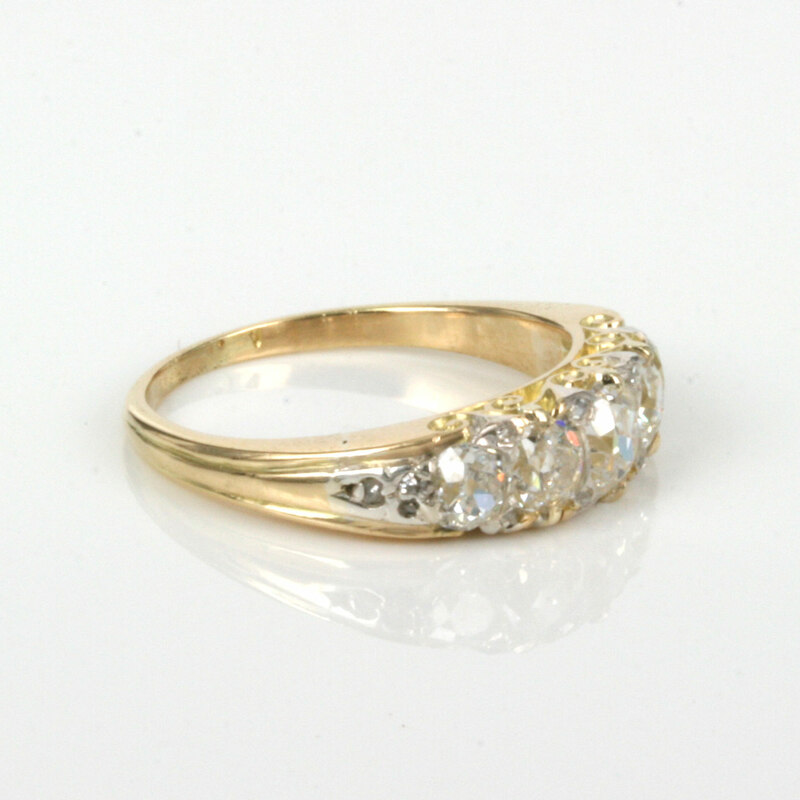 Hand made in 18ct yellow gold towards the end of the Victorian era of the 1890’s, this antique diamond engagement ring is set with 5 main European cut diamonds. The centre diamond measures 0.50 carats with the next two totalling 0.56 carats and the end diamonds totalling 0.40 carats. They are all G in colour and Vs-Si in clarity. Then typical of the charm and elegance of many antique diamond rings of this era, in between each main diamond are 2 smaller rose cut diamonds that makes it sparkle even more. And if these diamonds weren’t enough, at each end of the ring are three further diamonds. All these rose cut diamonds total 0.10 carats and add so much charm to an already very beautiful antique ring and give the ring a total diamond weight of 1.56 carats. From left to right where the main diamonds start and finish – not including the three diamonds on each side, it measures 18.1mm across by 5.8mmwide at the centre. Even from the side you can see the most delightful scroll work that really makes this antique engagement ring so special. The details and sparkle from the diamonds combined with the age, all go to make this a superb antique diamond engagement ring that will always be loved and cherished.